POINT/COUNTERPOINT: Is MCE worth $200,000 of taxpayer money? Jennifer Sultzaberger was among local residents who spoke in favor of MCE while Eric Lacz questioned its accountability as the city council mulled funding for the business incubator. 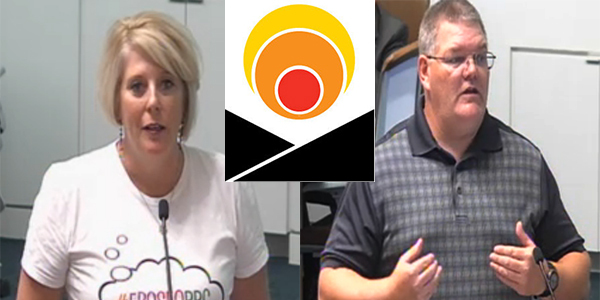 Maricopa business owners have differing views on the effectiveness of Maricopa Center for Entrepreneurship, a business incubator that recently received $200,000 from the City of Maricopa by unanimous vote of the city council. The most important reflection I have about the MCE is being involved with Maricopa High School’s DECA program and their youth. Without the MCE, Shark Tank would happen, however it would not be as impactful. #vidit sponsored the DECA club at Maricopa High School in 2015 and had a #vidit intern, McKinzy Blewett, who participated in Shark Tank 2014 to introduce the #vidit value proposition. The Shark Tank Program allows our youth to participate at a local level in something kids dream about all over the country when they watch the TV show Shark Tank on Friday nights. Then MCE takes our local #SharkTank to another level by allowing internships and entrepreneurial mentorship to local students. As an existing business in Maricopa since 2013, which had absolutely no success with the Ahwatukee or Maricopa Chambers, the embrace and welcoming I received from MCE and Dan Beach allowed me to share my technology and personal message to youth and the City of Maricopa. Furthermore its local entrepreneurs like myself and MCE that are here to excel the city of Maricopa to its new heights by supporting and helping local youth realize they can become anything they want to be with the proper plan, drive and determination. #BecomeYourDream. Jennifer Sultzaberger is the founder of #vidit. I believe Maricopa needs a business incubator to help insure small business success. With that being said, MCE is not the right choice to run this program in Maricopa. There are many questions being asked by small businesses in Maricopa about the effectiveness of MCE over the last three years. At a recent City Council meeting many questions were raised, yet none were answered. Neither the city of Maricopa nor MCE is willing to answer basic questions about how the program is being operated. What are the expectations for the next year of service? What is MCE’s responsibility under the current contract? Are there any true results posted anywhere for the public to see? What does $200,000 in funding pay for? What is the number of new businesses added each year? Are there any results of job creation? How many MLoan requests have been made and funded to date? I agree that the city of Maricopa needs to fix its small business infrastructure, but not without transparency and accountability. Eric J. Lacz is the owner of ADworx Local. Should have been totally privately funded. Who in the Heck do these "Leaders" think they are? Wasteful Penguin like Thieves.